And the warrior whispered back, “I AM THE STORM”. 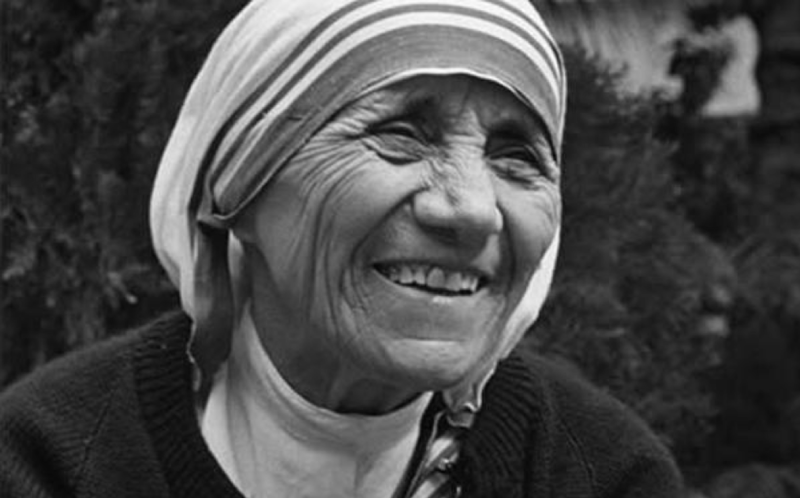 When I think about humanitarians, I think about someone like Mother Teresa. She lived and breathed her life’s work. As a nun, she took a vow of poverty. She chose to live among the poorest in India. She gave love, compassion and her time to those less fortunate than herself. She was a true giver of light. She was a warrior. What does it take to be a humanitarian? Often, people wrongly assume that to be charitable, to give and dedicate your life to helping others means being completely selfless. The image of selflessness conjures up sacrifices that are noble on the surface but can at times end up being harmful to the person making the sacrifices. This also applies in our relationships with family, friends, spouse and partners. Where “giving till it hurts” – ends up hurting the person giving. A very simple example of this would be how I remember working in a hospital and later in an office setting where people would either work through their lunch breaks or not eat all day, even if it was just for 15 minutes because they wanted to get work done – regardless if it was a life or death situation. In our personal relationships this works much the same way. We push ourselves to help, fix, or care for others with our time, love and drive to do good – at times though to point of our own personal depletion. By doing this the risk of service and dedication to others can become service jaded. Treating others royally and with priority, but when it came to taking care of ourselves, we become neglectful. The outcome normally is resentment. And, in the end, that resentment translated into the work or into the good that we were trying to achieve. But what I learned from Mother Teresa is how untrue that image of “selflessness” really is. Being a humanitarian is not an act of complete selflessness and self-sacrifice. It is an act of balance. There is a story about Mother Teresa and how she didn’t get along with another senior nun when she was young and first starting out in her career. But she didn’t bend to serve that other woman. She chose to avoid her at all costs. And Mother Teresa did not ignore her own emotions either, instead, she heeded them and used those negative feelings she was having regarding this person to set boundaries. In the end it was her tenacious spirit that proves being a humanitarian isn’t the image of a bent human without any opinion or voice. In fact, it’s quite the opposite. She found she needed to have an opinion and a voice, she needed to listen to her heart and rule with her fierce spirit. It was her tenacity that made her a “warrior humanitarian”. She demonstrated the balance of needing to be a strong and courageous humanitarian in order to serve others and to serve humankind. Why? Because it’s not easy to love others who may not love you back. Because although self-sacrifice has its merits, there are times, in your path to being a warrior humanitarian – a person who “gives till it hurts “, when your mantra has to sing a different tune. Yes… be loving, be compassionate and give with all your heart. But be strong. Have a voice. Have an opinion. Set boundaries. Remember you too are human. Take time to recharge your own batteries when needed so you can keep giving. “I” first isn’t a bad thing if it means you’ll have the right energy, right spirit and right mindset to continue to do good with true love. It’s all part of being the “human” in humanitarian.